Not mind, not sand, not water. 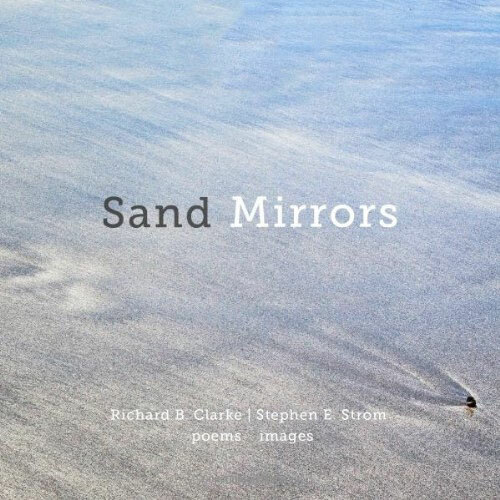 Sand Mirrors is a marriage of poetry by Zen teacher Richard Clarke and photographs by Stephen Strom. 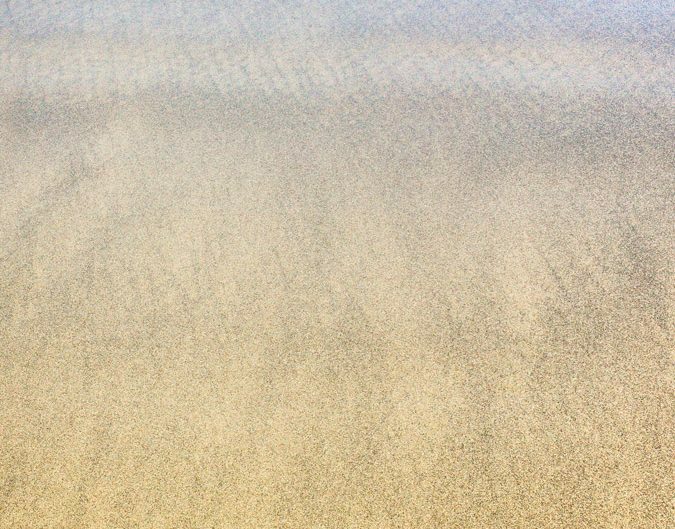 The poems beckon the reader to explore the inner and outer richness of sand and ocean—richness beyond all imagination and dream. It speaks to fleeting and timeless patterns on Northern California and Oregon coasts, and through understated but powerful words, reminds us that all our life is now, and has nothing to do with transience or duration. 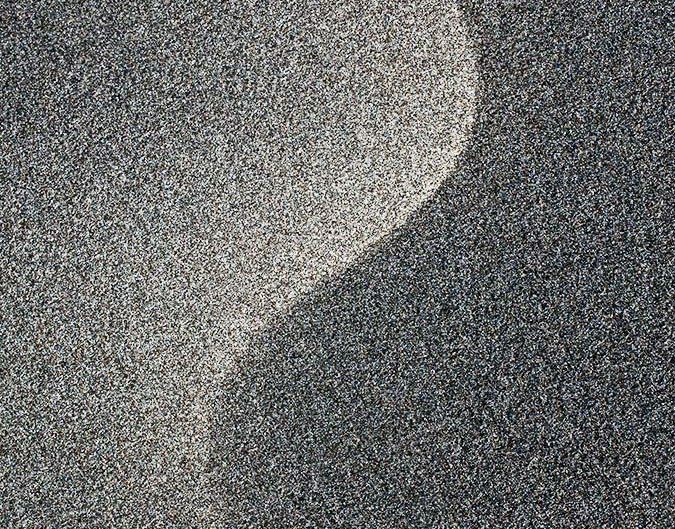 The images in Sand Mirrors—which might be called metaphorical photographs—were taken on a variety of beaches located in the Pacific Northwest coasts during 2007-2011. These beaches are notable for their relative isolation, expanse, stark uplifted and eroded rocks, backdrop of richly foliated coastal cliffs, and a variety of sandy minerals. This compelling landscape was born in a cataclysmic collision of continental plates and vigorous vulcanism, and shaped over millennia by continuing tectonic activity, and the erosive power of the Pacific Ocean. 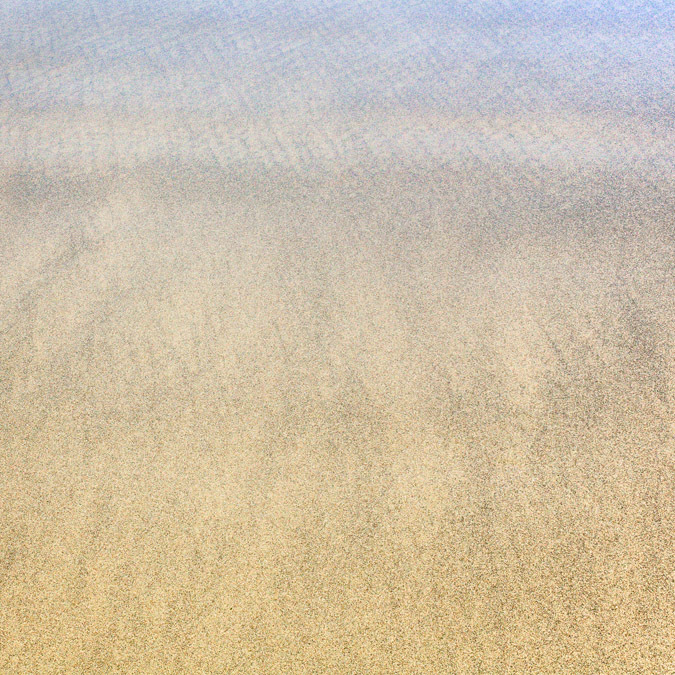 Fresh water streams flow through many of these beaches, carrying silt and minerals seaward from the nearby coastal range. 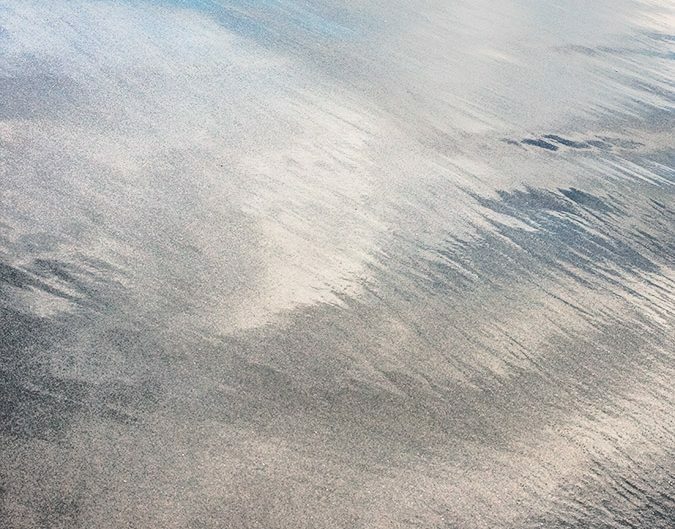 It is the merging of ocean sands and finely ground minerals at the interface of fresh water and ocean tides that creates patterns that evoke the seen and unseen rhythms of an ever-changing landscape, reshaped by wind, tide, and the pulse of the earth itself. 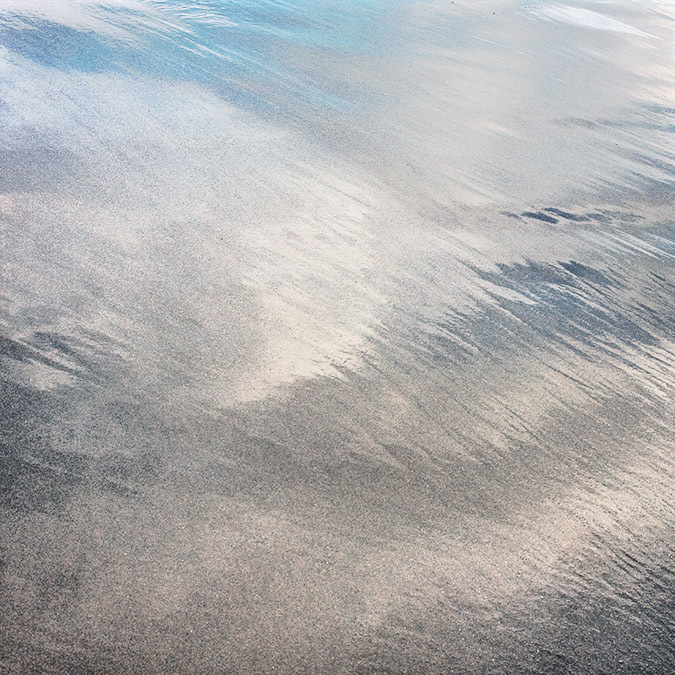 In the hands of the ocean, a constant transformation on the canvas of the beach. 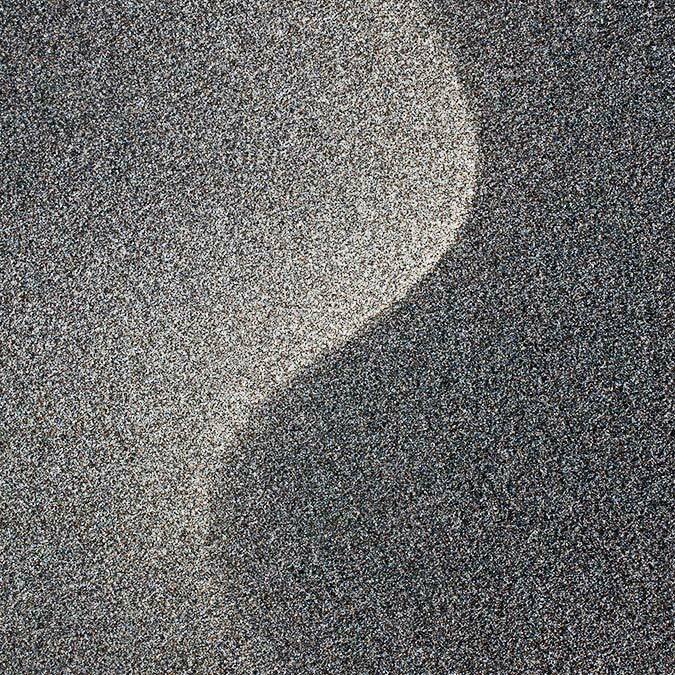 This place of shifting, where Strom’s images take us, is at once subtle and sensual, mysterious and mystical. 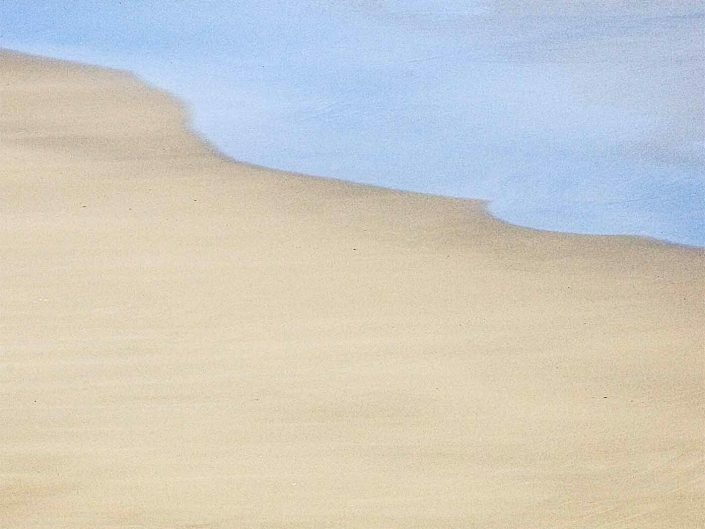 Clark’s elegant poems compliment the images with graceful harmony and further elucidate the shifting nature of sand and water. 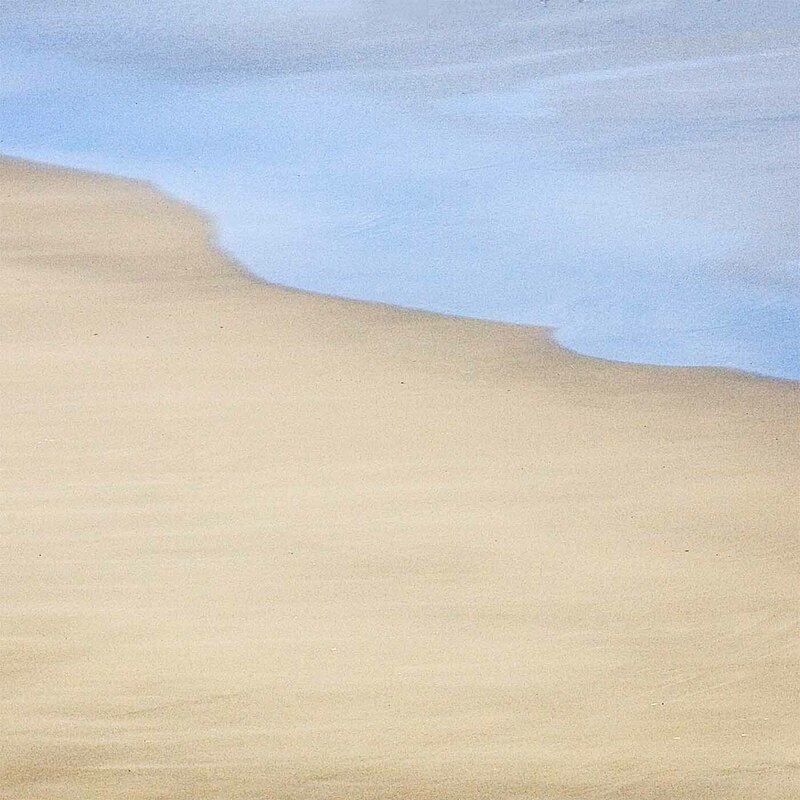 The poetry and images in Sand Mirrors invite us to experience a meditation that lingers long and gently on the spirit. Richard B. Clark as been an explorer since childhood. Throughout a long life of continued learning, exploration and travel, he has fulfilled many roles: biologist, professor, psychotherapist, founder of a training institute of Neurolinguistic Programming, corporate consultant, and poet. For more than 30 years he has served as Zen teacher at the Living Dharma Center in Amherst, Massachusetts. While continuing his Zen teaching in the U.S. and in France, he is currently also engaged in several writing projects. He is the author of twobooks of poetry, Fever and the Cold Eye and Lunations.